I heard you like dragons; me too. Here’s a picture of my Dracolyte in dragon form, riding a dragon, with his pet dragon in tow. Pretty sweet, right? Given that next week Trion is introducing another new patch in Trove, I thought this picture was appropriate for this week’s High Rez Images. I knew dragons were being introduced into the game, but honestly I had no idea we would be raising them from eggs to have as mounts! I have no idea what all that will entail, but color me intrigued. Pictured here, my Dracolyte is sporting his new Balefire Beast costume while in dragon form, which matches perfectly with the Kami of Sheltered Shores mount that I received from the latest adventure box. I noticed the Balefire Beast costume on a YouTube video a while back, or at least I noticed the Dracolyte’s color scheme was navy blue and fel fire green when in dragon form. Only recently did I discover that was a result of equipping a different costume. Not only is his costume color scheme changed, but so is his pet dragon and their fire attacks are green. It’s a nice customization feature. In fact, all the Dracolyte costumes in the store change the way your pet dragon and dragon form look, which I think is pretty cool. When you use your wings in dragon form, the animation will use the dragon’s wings instead as you fly around. Do you know what else is pretty cool? When you mount up while in dragon form or take to the sky with your wings, you will stay in dragon form until you dismount (or touch the ground if you’re flying) rather than being limited by the dps cooldown that transforms you. 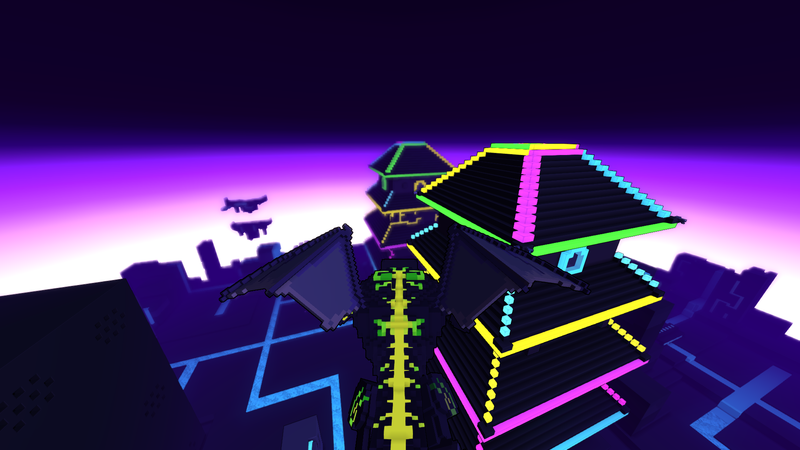 That’s how I captured this week’s screenshot with ease, once mounted I can ride around that way as long as I like. And who doesn’t want to be a dragon riding a dragon? At least I think that mount is a dragon. It has runners like a snowmobile instead of legs, so I guess it’s a cold weather dragon. Everyone knows dragons adapt to their environment by growing ski-like appendages when in the snow. It’s a well known fact. 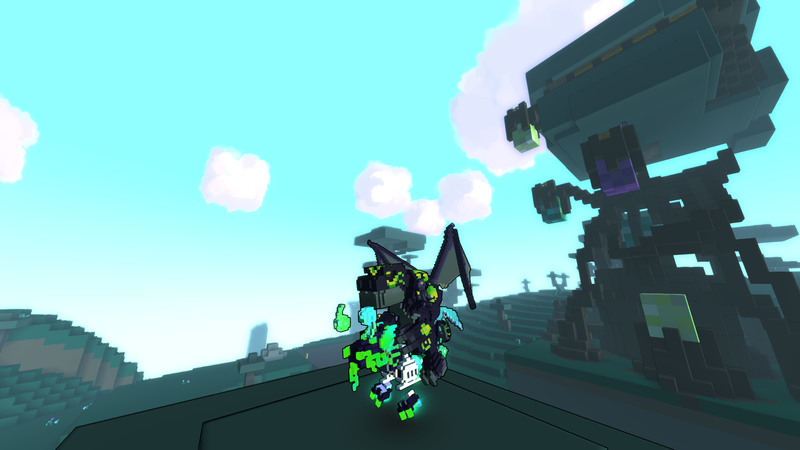 OMG, I reeeeaally need to look into Trove. I can’t believe I’ve been ignoring it for so long. Definitley! I have a club world I’m trying to invite other bloggers to, you should join! It’s pretty pathetic right now, lol. It takes a lot of materials to expand but a couple other bloggers have already joined and eventually it will be better. If nothing else it gives us a chat channel in game. My character is Aldorf and the club world is Waiting For Rez (I made it to be a personal club world at first, otherwise I would have picked something less… narcissistic, lol). Look me up or send me a tweet if you are in game.